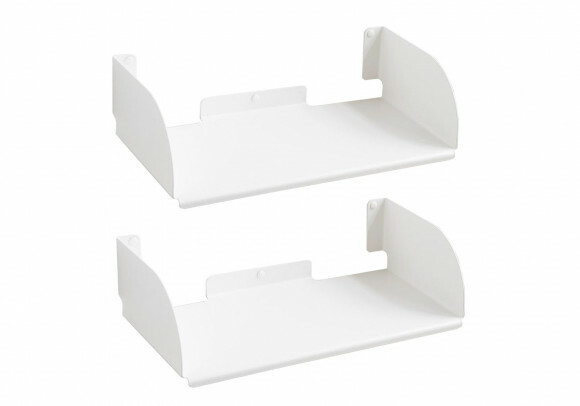 The Teebooks floating shelves are as modular as you wish them to be. They can cover a whole wall by being joined together or freestanding, single and scattered here and there. The freedom of layout given by the Teebooks wall shelf is considerable. You will no longer have to squeeze furniture into your home, the shelves adapt to your home. Different shapes and dimensions are available. You will thus be able to create your home according to your tastes and wishes. With the wide range of wall shelves available nowadays, it is easy to mix up the styles and to fall for various items of furniture. It is not impossible to find harmony, but it can be difficult to put into place. Choosing shelves from a single range gives your home a decorative identity. And the imposing fuchsia pink shelves you fell for will soon bore you after a few months… It is better to opt for discreet rather than imposing shelves, they will better resist the onslaughts of time. The modularity of the Teebooks shelves will allow you to fit shelves in your home wherever you wish. You will be able to fit one in a small space. And in a bigger space, you will be able to fit several shelves notably for a library by arranging them together. You will thus combine horizontal and vertical storage to give your wall and your wall shelf special features unique to you. You will benefit from a truly personalised interior layout. You will even be able to modify the look along the years if you get bored with a layout or if your collection happened to change. The Teebooks shelves have the advantage of being a lifelong collection and you will even be able to add new modules to complete your library a few months later. Floating Shelves There are 18 products. 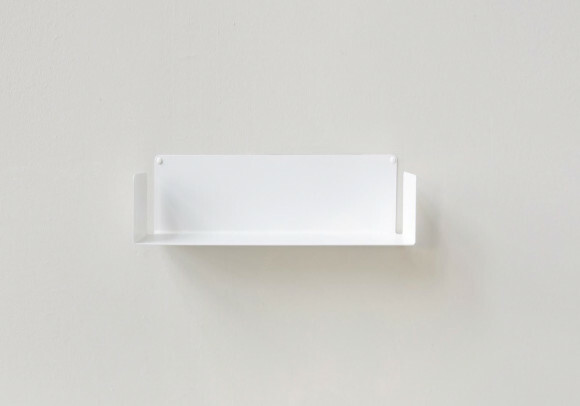 The white design metal shelf 60 cm, is a wall-mounted shelf for books and objects. Dimensions: 5,9 inch deep, 23.6 inch wide and 14.6 inch high. Material : 0.06 inch thick steel. The shelf weighs 3,8 kg and supports up to 20 kg. Screws and dowels provided. Floating shelf "U" is simple and functional way to store your book, CD, DVD collection. Characteristics : 5,9 inch deep, 5,9 inch high, 23,62 inch long, weight 3,2 kg Made of 0,07 inch thick steel Can holds up to 44 pounds. Create your very own bookshelf ! 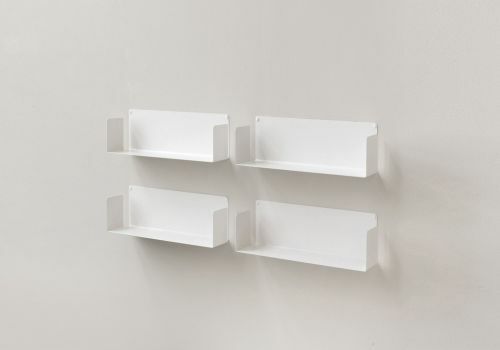 The set of 4 floating shelves "U" is simple and functional way to store your book collection. Characteristics for each shelf : 5,9 inch deep, 5,9 inch high, 23,62 inch long, weight 7 pounds. Each shelf can holds up to 44 pounds. The 4 shelves offer 94,48 inch of usable length ! 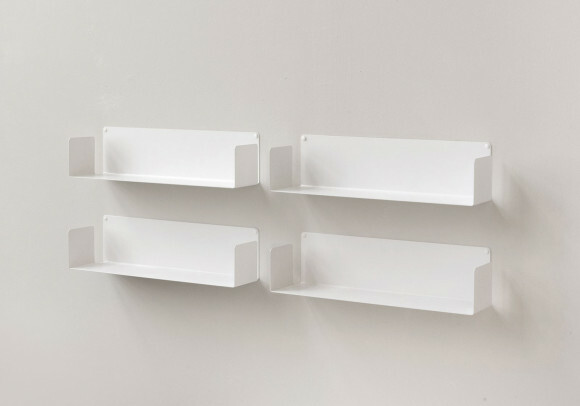 The set of 6 floating wall shelves "U" is simple and functional way to store your book collection. Characteristics for each shelf : 5,9 inch deep, 5,9 inch high, 23,62 inch long, weight 7 pounds. Each shelf can holds up to 44 pounds. The 6 shelves offer 141,72 inch of usable length ! 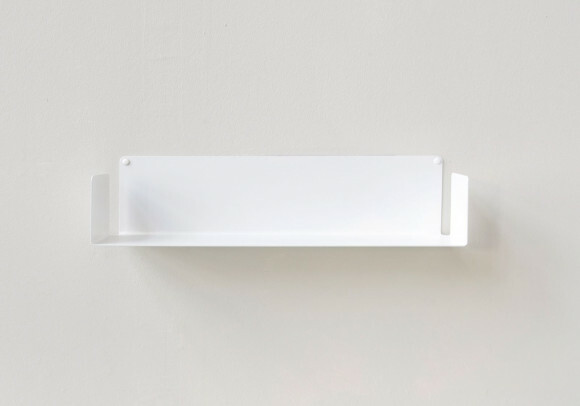 The set of 2 floating shelves "U" is simple and functional way to store your book collection. Characteristics for each shelf : 5,9 inch deep, 5,9 inch high, 23,62 inch long, weight 7 pounds. Each shelf can holds up to 44 pounds. 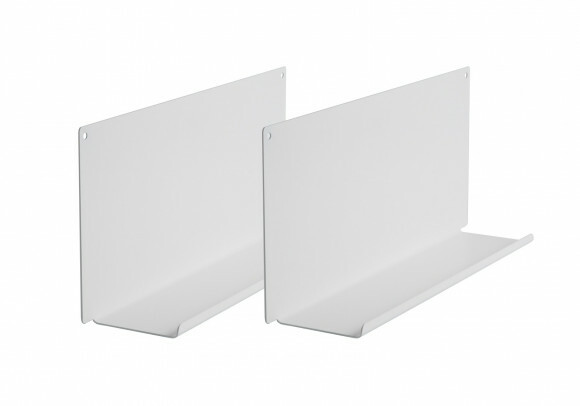 The 2 shelves offer 47,24 inch of usable length ! 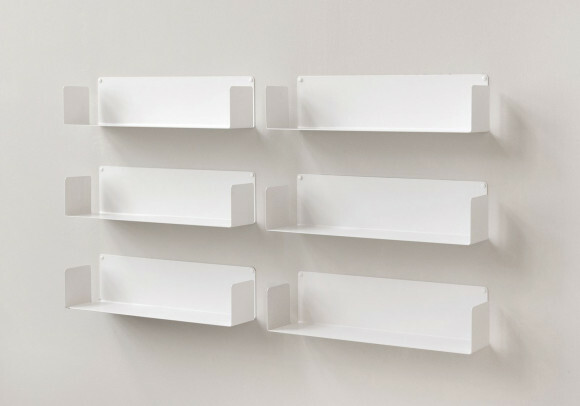 The set of 12 floating shelves "U" is simple and functional way to store your book collection. Characteristics for each shelf : 5,9 inch deep, 5,9 inch high, 23,62 inch long, weight 7 pounds. Each shelf can holds up to 44 pounds. The 12 shelves offer 283 inch of usable length ! 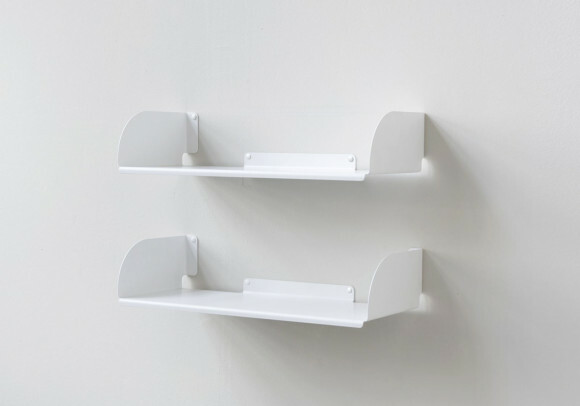 The set of 18 floating shelves "U" is simple and functional way to store your book collection. Characteristics for each shelf : 5,9 inch deep, 5,9 inch high, 23,62 inch long, weight 7 pounds. Each shelf can holds up to 44 pounds. The 18 shelves offer 425 inch of usable length ! 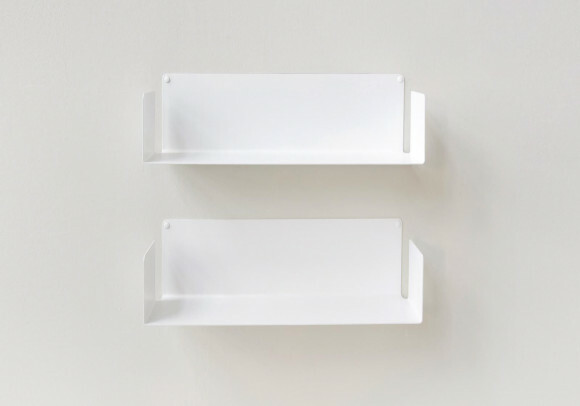 The set of 24 floating shelves "U" is simple and functional way to store your book collection. Characteristics for each shelf : 5,9 inch deep, 5,9 inch high, 23,62 inch long, weight 7 pounds. Each shelf can holds up to 44 pounds. 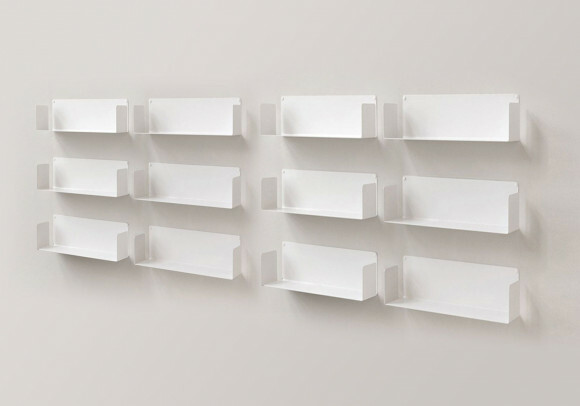 The 24 shelves offer 600 inch of usable length ! Wall shelf "US" is simple and functional way to store your book, CD, DVD collection. Characteristics : 5,9 inch deep, 5,9 inch high, 17,71 inch long, weight 6,17 pounds Made of 0,07 inch-thick steel Can holds up to 33 pounds. Create your very own bookshelf ! 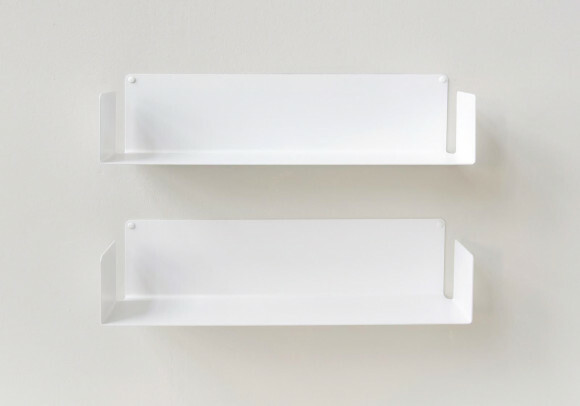 The set of 2 Floating shelves "US" is simple and functional way to store your book collection. Characteristics for each shelf : 5,9 inch deep, 5,9 inch high, 17,71 inch long, weight 6,17 pounds. Made of 0,07 inch-thick steel Each shelf can holds up to 33 pounds. The 2 shelves offer 35,42 inch of usable length ! The set of 4 Floating wall shelves "US" is simple and functional way to store your book collection. Characteristics for each shelf : 5,9 inch deep, 5,9 inch high, 17,71 inch long, weight 6,17 pounds. Made of 0,07 inch-thick steel Each shelf can holds up to 33 pounds. The 4 shelves offer 70,84 inch of usable length ! 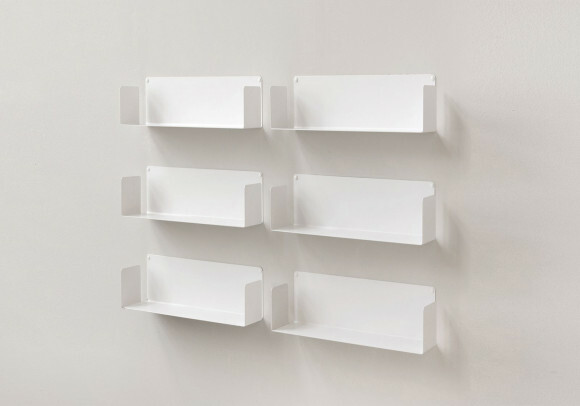 The set of 6 Floating wall shelves US is simple and functional way to store your book collection. Characteristics for each shelf : 5,9 inch deep, 5,9 inch high, 17,71 inch long, weight 6,17 pounds. Made of 0,07 inch-thick steel Each shelf can holds up to 33 pounds. The 6 shelves offer 106,26 inch of usable length ! Floating Shelves "UBD" specifications: 9,84 inch deep, 5,9 inch high and 17,71 inch long, made of 0,07 inch thick steel and weighing 6,17 pounds. This floating shelf can support up to 88 pounds. You can use the "UBD" Wall Shelves to create your very own TEEbooks shelves. 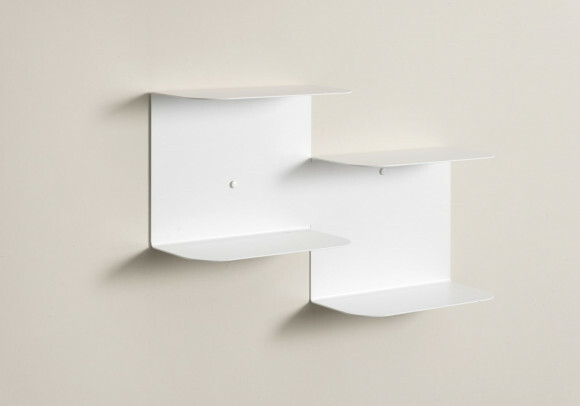 A simple, functional wall- mounted bookshelf, just the way you want it. Floating Shelves "UBD" specifications: 9,84 inch deep, 5,9 inch high and 23,62 inch long, made of 0,07 inch thick steel and weighing 7,8 pounds. This floating shelf can support up to 120 pounds. You can use the "UBD" Wall Shelves to create your very own TEEbooks shelves. 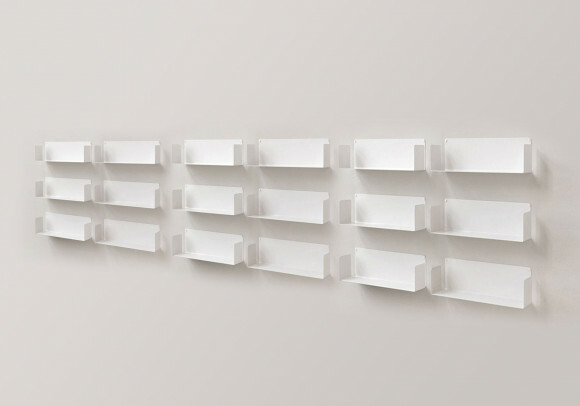 A simple, functional wall- mounted bookshelf, just the way you want it. Asymmetrical floating shelf "TG" specifications: 5,9 inch deep, 23,62 inch high and 23,62 inch long, made of 0,07 inch thick steel and weighing 9,47 pounds. You can use the "TG" shelves to create your very own TEEbooks shelves. A simple, functional floating shelf just the way you want it. Asymmetrical floating shelf "TD" specifications: 5,9 inch deep, 23,62 inch high and 23,62 inch long, made of 0,07 inch thick steel and weighing 9,47 pounds. You can use the "TD" shelves to create your very own TEEbooks Bookshelves. 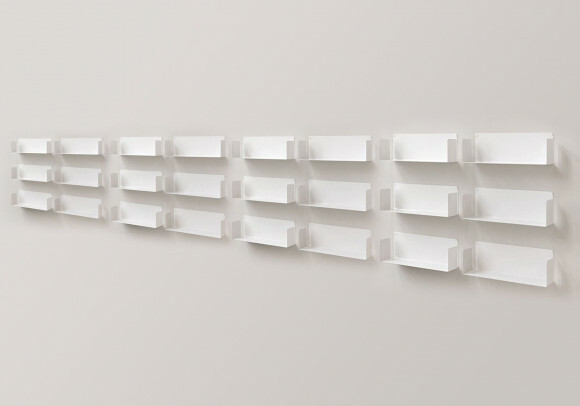 A simple, functional wall- mounted bookshelf just the way you want it. 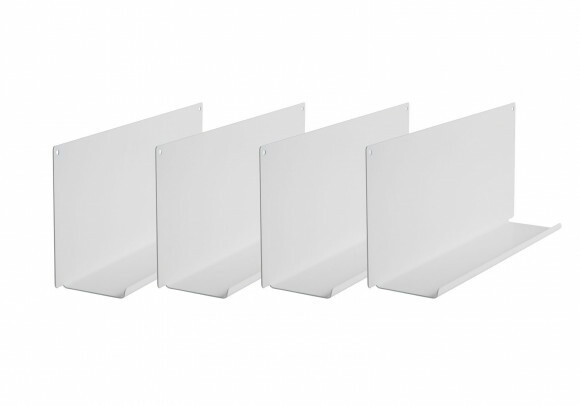 The set of 4 "LE" shelves for picture frames are simple and functional shelves. Use them to put the light on your most beautifull books, CD, frames ! Characteristics : 3,93 inch deep, 7,87 inch high, 17,71 inch long and weight 3,96 pounds. Made of 0,05 inch-thick steel Each shelf can holds up to 44 pounds. Ideal for corridors with it's 3,93 inch deep.